Come tomorrow, India and England will take on the pitch one last time this tour in the shorter format of the game. The first and second-ranked ODI teams will clash in one final bid before they shift their attention to the five-match test series. With the three-match series level at 1-1, the third and last match is expected to be a thriller, providing the perfect entertainment to make up for the loss of the recently concluded football world cup. Match 1 India dominated. Match 2 it was England. Two different matches, two entirely different performances from both the sides has seen the same script of the T20 series being played out in the ODI series as well. Going all the way to the third and last match, this series has been enjoyable till now and only promises to get better come tomorrow when both the sides will be on their toes, ready to pounce in for the kill for a chance to hold the coveted trophy. India’s reliance on spinner finally back-fired on Saturday with the English finally playing out Yadav and Chahal sensibly. Ripping apart an average Indian pace unit which saw all the three pacers register economies above 6.5 with just two wickets between them, England have fired a warning shot at India before the third ODI. Throw the same garbage at us and we are going to smash you out of the park. This along with the middle-order continues to be an area of major concern for India. Changes are needed in the side if we are to have a chance at winning a famous series overseas. Coming back to India vs England third ODI preview, for England the selectors have released Dawid Malan and Sam Curran from the ODI squad ahead of the deciding match against India. They decided to bring in James Vince who has been rewarded for his performances against Somerset and Yorkshire in England’s domestic one-day tournament for Hampshire where he hit 109 and 171 respectively. This will strengthen an English side who looked a complete unit in the last match. England: Eoin Morgan (captain), Jason Roy, Jonny Bairstow, Jos Buttler, Moeen Ali, Joe Root, Jake Ball, Liam Plunkett, Ben Stokes, Adil Rashid, David Willey, Mark Wood, James Vince. 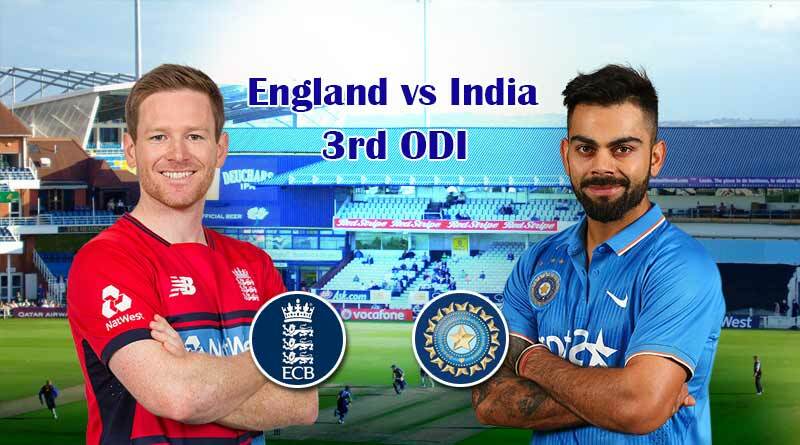 After the India vs England third ODI preview, stay tuned for India vs England third ODI match highlights.